Turn to the Des Moines heating and cooling experts at Lozier if you’re looking to buy a new heating and cooling system for your home. 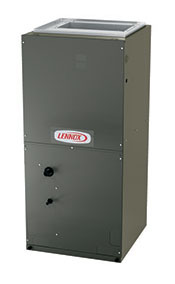 You’ll enjoy the peace and quiet and efficiency of our quality Lennox® products. We assist buyers in comparing the options between our different product lines before deciding on the perfect system. Lennox® furnaces are some of the most efficient and quietest heating systems with the perfect warmth and savings options. 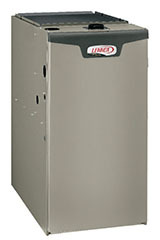 Lozier is a top 20 Lennox dealer, so we’re committed to helping you choose the best furnace when it’s time for a new unit. Our Dave Lennox Signature Collection offers the highest quality heating systems. Browse our Elite® Series for highly efficient options, or take a look at the budget-friendly Merit® Series furnaces. The precision of a Lennox® air conditioner keeps your home consistently comfortable with some of the quietest and most energy-efficient units available. As one of the top 20 dealers for Lennox, our certified technicians are qualified to find the ultimate cooling system for your home. Check out our top of the line air conditioners in the Dave Lennox Signature Collection, quality options in the Elite® Series or find the most cost-effective choice in the Merit® Series. 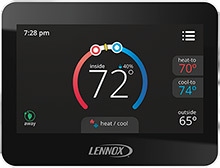 Explore programmable or WiFi-compatible thermostats and advanced zoning systems from Lennox®. Our comfort controls let you decide the exact temperature of your home or individual rooms and maximize energy efficiency. If you recently purchased a new thermostat, our team will even assist with connecting your thermostat to your heating and cooling system. 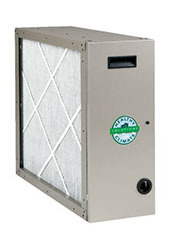 As a leader in home air quality, we offer air purifiers that can remove the smallest particles, including bacteria spores, viruses and cigarette smoke, to keep your home environment as clean as possible. Our air purifiers can be easily installed alongside your existing unit, allowing you to combat allergens, germs and humidity imbalances in your home. An innovative alternative to your traditional air conditioner and furnace, heat pumps and air handlers provide an energy efficient way to heat and cool your home. They reach precise temperatures and are highly efficient in every season. Browse the best heat pumps in Dave Lennox Signature® Collection, or if you're wanting something else, take a look at the options in the Elite® or Merit® Series. 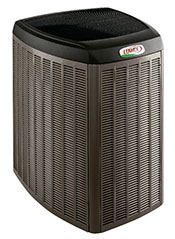 When paired with a Lennox® heat pump, air handlers are among the quietest and most efficient systems you can buy. Lozier product experts will assist you in deciding what's the best fit for your home. For top-of-the-line air handlers, browse the Dave Lennox Signature® Collection. For quiet and efficient options, view the Elite® Series, otherwise check out the Merit® Series for the most affordable air handlers. 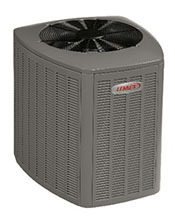 Reduce your heating and cooling costs tremendously with a Solar Ready air conditioner or heat pump. Not only is it beneficial to the environment, but when you invest in these extremely efficient systems you'll save up to half the cost of your typical energy bill. View our solar-compatible options to decide if this is a smart choice for your home. Make your garage or workspace more comfortable with a garage heater or mini-split system. These units provide homeowners with the perfect option if there's a space in your house that's always hotter or colder than the rest of the house, line an add-on that's not connected to the main heating and cooling system.